Visiting costume collections and exhibitions has become a regular event for me, especially as I can use this primary research to support my own studies into clothing, accessories and textiles. I started a search for some lesser known costume collections within the United Kingdom and Ireland, this months post continues with a selection of collections in Southern England. I hope I can continue to introduce you to collections you didn't already know about. 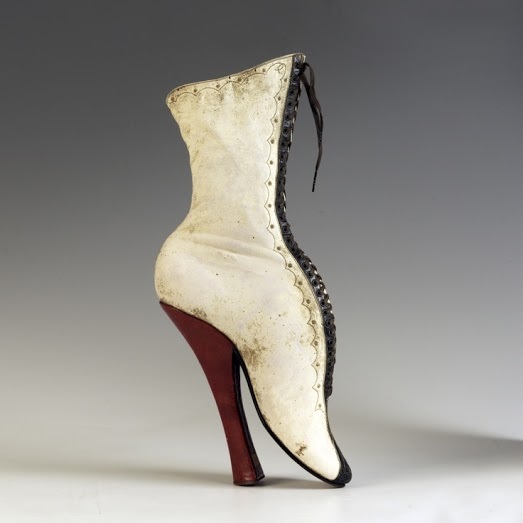 - This collection contains 1000's of garments and accessories from the Seventeenth Century onwards with the majority of the collection from the Twentieth Century. Highlights include a mourning dress worn by Queen Victoria, in 1892 after the death of her grandson and clothes worn by Winston Churchill when he was a boy. Paid entry. 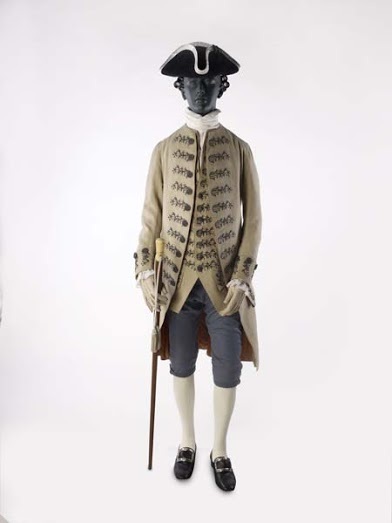 - The Olive Mathews collection contains over 4,000 items of men's, women's and children's clothing and accessories from the eighteenth century to the present day. There is a new costume exhibition on display each year, this year's display features Edwardian and pre First World War fashion. Study visits can be booked in advance. Free entry. - Embroideries from the Seventeenth century, dress and accessories from the Eighteenth century onwards. 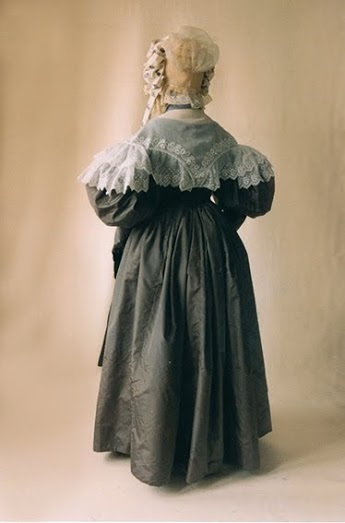 Women's late Nineteenth and Twentieth century clothing are particularly well represented, as are christening gowns, patchwork quilts, samplers, smocks, fashion plates, and wedding dresses. Highlights also include a raised work embroidery from 1660, a silk pelisse dress belonging to Jane Austen, and clothing worn by the Empress Eugenie. Free entry. - Over 24,000 items of costume, textiles and accessories in this collection, dating from the Tudor period to the present day. Highlights of the collection include clothing by London-based makers, tailors and designers including Norman Hartnell, Vivienne Westwood and Mary Quant. The Harry Mathews Collection of fashion plates and photographs, ceremonial robes, clothing from the Royal family both historic and modern, and textiles from London based makers including Spitalfields silk. Only a small selection of costume is on permanent display, but study visits can be arranged in advance. Free entry. -Collection of over 8000 items of clothing and accessories from the Nineteenth Century onwards. There is a permanent gallery with a rotating display of costume and one devoted to the wardrobe of Doreen, Lady Brabourne. The collection also holds dolls clothes from the Nineteenth and Twentieth Century. Free entry. - Largest shoe collection in the world, with shoes from the Ancient Egyptians sandals to present day killer heels. Also have a small selection of clothing and accessories as part of the museum's social history collection, and visiting exhibitions. Free entry. 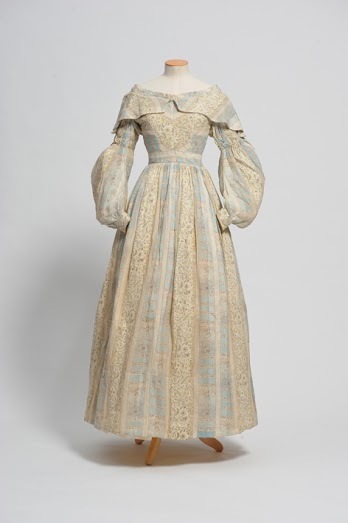 - This collection includes the The Hopkins Collection, the Janet Arnold Archive and the School's own collection of costume, accessories, textiles and sewing equipment from the Seventeenth Century onwards. The collections are used as resources for the courses and research at the school, enquiries about the collections and visits are welcome. Keep an eye out for the 50th Anniversary of Janet Arnold's Pattern of Fashion and for their upcoming costume making courses in the Autumn. - The collection holds over 30,000 items of clothing and accessories from the Seventeenth Century to the present day, also has a comprehensive collection of fashion plates, paper patterns, photographs and magazines. Highlights from the collection include Nineteenth Century women’s dress, underwear, swimwear, smocks, accessories and quilts. Free entry. 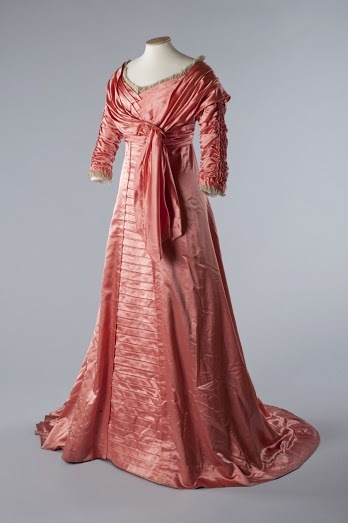 Silk taffeta dress c1832. The Hopkins Collection. Image credit to The School of Historical Dress.